Reading the Bible is always a literary endeavor. 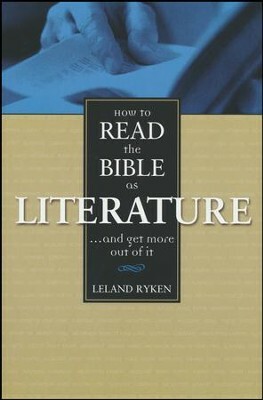 Literature has a genre, context, and intent, and although God’s Word is wholly different from any other piece of literature in its divine authorship, inerrancy, and its ability to transform our hearts, it’s noteworthy that God has chosen to communicate with His people through the medium of literature, or the written word. The very act of reading requires a baseline understanding of what a work is and why it was written. We’re so good at this that often we don’t even consider what’s happening. Is this a grocery list or a bedtime story? Are those words on the screen at church an announcement or a worship song? Is God’s Word not enough? But when we talk about recognizing the Bible as literature, that may bring up questions for some. Isn’t the Bible sufficient and clear? Isn’t God’s Word authoritative? Doesn’t the Holy Spirit aid us in understanding as we read? God’s Word is literature, but it also is alive and active, revealing our hearts and directing how we live. There is no extra resource required to be able to read your Bible. There isn’t a secret meaning or a numbers and letters code that unlocks the “real meaning” of the Bible. And it’s not only for those with lots of degrees on their wall. God’s Word is sufficient. It may seem complicated or we may even unintentionally make it more complicated than it has to be for those we lead. We read through the lens of genre, context, and intent so that we may best interpret and apply God’s Word in a way that honors Him and is true to the text. I grew up in a wonderful church that did a great job discipling me, but I was 23 before I really recognized Scripture as one story about our faithful God who keeps His promises. I didn’t understand how stories fit together on a timeline and I had a hard time understanding how to rectify the Old Testament and its laws with what I knew to be true under the new covenant. I’ve since discovered how helping people have a stronger framework for reading Scripture can answer some of the questions we run up against as we read. For instance, if a member of your church is stuck in Leviticus (we’ve all been there) trying to figure out why it matters, it can be helpful to view the book in light of the entirety of Scripture. The law isn’t just a restrictive list of dos and don’ts, but rather is a call to love God above all else so that we might have life. It isn’t focused on duty, it’s focused on the heart. Leviticus also takes on a new light when we see how the Israelites only used positive words to describe the law: good, right, trustworthy, pure, worthy of delight. Psalm 119 is a 176-verse long poem about how wonderful God’s Law is! When we arrive at the New Testament, we realize that Jesus came to fulfill the law we couldn’t keep. These truths about the law should frame our reading and understanding of Leviticus. Having the right framework can be helpful when we think about how to read, interpret and apply other difficult passages in Scripture. We shouldn’t read every proverb like it’s an absolute promise for every person’s life. If we read narrative stories like it is an instructive letter, we can end sharing some weird quotes on our social media accounts. We approach the Bible as a book—albeit a holy book and a book breathed out by the God we follow—written by the hands of faithful men under the inspiration of the Holy Spirit. We trust He will help us rightly understand and rightly know Him. We also seek to learn all we can so that we can best interpret and apply His Word in our world and our lives today. A diatribe on literary genre from the pulpit or the small group leader’s desk may cause eyes to glaze over and minds to begin to analyze the options for lunch. 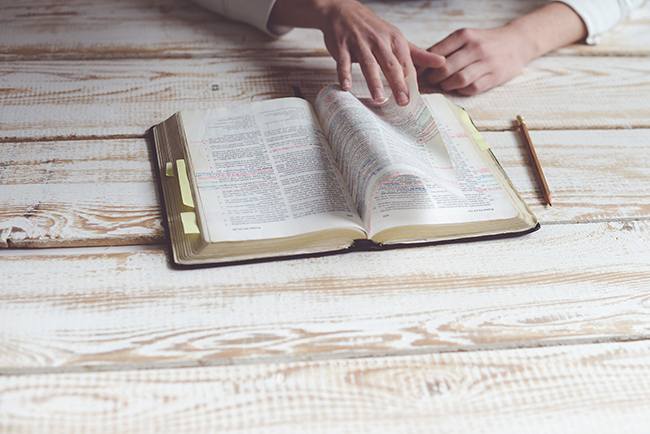 However, presenting content that includes context, both textually and canonically, is a great way to model how to read Scripture as a cohesive story of God’s promises and fulfillments. These questions will lead readers to better analyze the text, and in the process teach those they are leading to ask good questions of the text as well. Consider offering church-wide workshops and walk through difficult passages together. Helping people learn to observe what is happening and ask lots of questions about historical context, literary context, and what the author may have intended can help them better understand the text and also learn some of the intricate depths of the beauty of Scripture. After all, the Bible is alive and active and worthy to be read over and over and over again. MARY WILEY (@marycwiley) is the the Women’s Book Strategist at B&H Publishing Group and host of the Questions Kids Ask podcast.